Whatever your moving needs may be, Meathead Movers will help you feel at home in Fullerton. Our professionally trained student-athlete movers and our moving concierge will be with you for the entirety of your move to Fullerton. Located in northern Orange County, Fullerton is home to a well-known community college and California State University Fullerton. Though one of the oldest cities in Orange County, Fullerton retains a youthful feel. Families, retirees, and young adults moving to Fullerton will enjoy all the convenience of living in Southern California without the hustle and bustle of life in downtown L.A. or Huntington Beach. At Meathead Movers, we have been the Fullerton movers of choice for more than 15 years. Fullerton is conveniently located on the 5 Freeway with easy access to State Routes 57 and 91 to help better connect you with the surrounding area. You can also take Harbor Boulevard, which borders the city’s downtown area, to travel to many of Orange County’s central cities. Downtown Fullerton offers a wide variety of boutique shopping and relaxed dining options to residents and visitors alike. Enjoy the city’s rich culture at any of Fullerton’s theater or operatic shows performed at the Plummer Auditorium. You can also explore the cities beautiful wilderness areas. Ralph B. Clark regional park offers a variety of hiking trails and family-friendly outdoors activities. Fullerton also offers many small parks and recreation areas for families and residents alike. The Fullerton Arboretum, near CSU Fullerton, is a unique garden complex, and is the perfect place to enjoy a casual stroll. The Arboretum also hosts a memorable annual home and garden show. At Meathead Movers, we put our experience to use to ensure that we are the best Fullerton movers you can find. Our Princess Packers can help you prepare for your move by carefully boxing even your most fragile items. All our movers are friendly, drug-free student athletes. They even jog when not carrying your possessions, ensuring your move is done as fast and efficiently as possible. Our office staff is experienced in coordinating long-distance, commercial, and local moves. We use a proprietary software program designed to ensure that all your possessions arrive at your new home on time. Our movers are determined to provide superior customer service and take care to not break any of your possessions. Prior to and during your move, we offer a free moving concierge service designed to offer referrals to service providers in your new area. We are proud to be your Fullerton movers of choice. 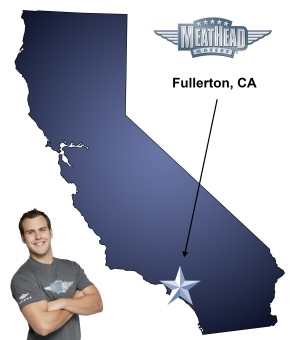 At Meathead, we believe that moving to Fullerton should be as easy and stress-free as possible. With a 100% satisfaction guarantee, you have nothing to lose. Give us a call today to learn more about what the Meathead Difference really means. Our staff can even give you a no-obligation, no-cost move quote. Moving to Fullerton? Here are some helpful resources. Brian and Fonzie were great! There was also one other young man but I forgot his name. The move was done quickly and efficiently. The guys were great! Friendly, efficient and professional. Loved the way they wrap everything. The movers you provided were very nice and polite. They were also not professional movers. They struggled to fit furniture and appliances thru doorways. They also moved at a mediocre pace which was frustrating. They had to take lunch instead of unloading the truck first when I had people standing by to help unpack. I requested the movers to start with the garage and then pack the house, they started with the garage to about 75% completion and then went to the house and then back to the garage. So all my boxes were mixed up. Causing a lot of work straightening it out. It should have been 1/2 the cost.